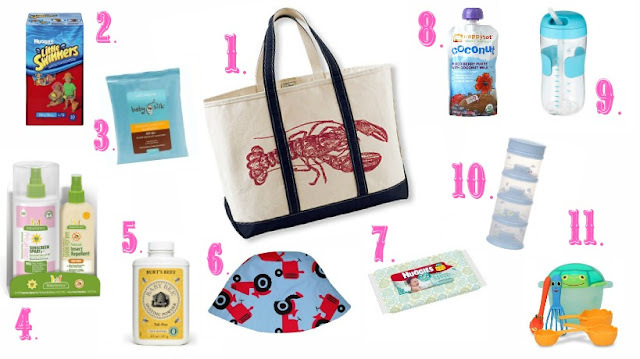 I Love You More Than Carrots: What's In Our Beach Bag? With a beautiful family beach house now at our disposal and the dog days of summer surrounding us, it's no secret that our family spends a lot of time at the beach. With two kids in tow, long gone are the days where all we needed to grab were swimsuits, a towel and small cooler (of beer) before hitting the dunes. Leaving for a day on the beach, a morning even, requires precision planning, time and a whole lot of stuff. With two kids, there isn't room to pack up the beach house and linen closet. One must pack simply and smartly to not only be prepared for anything but also to outlast the two tiny toddlers in tow. Want a peek into The M Family Beach Tote? Click the picture below and take a look!